Deluxe BackPack Chair. Worn as a backpack when folded, it has ample room for a picnic blanket, small cooler, camera, soccer ball, and water bottles. 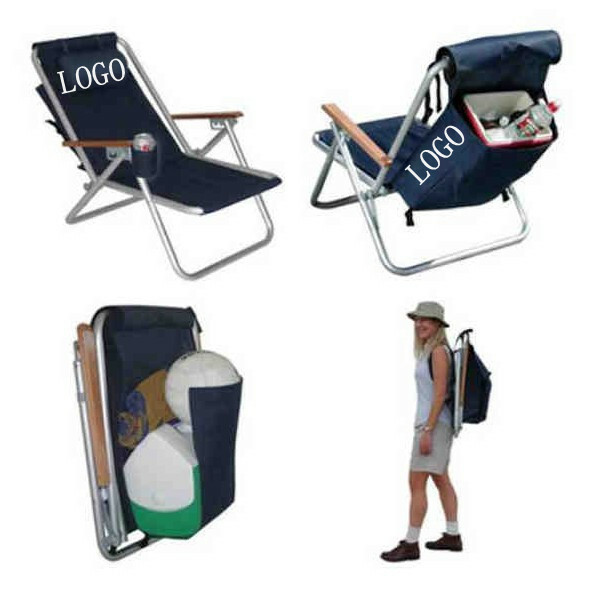 Its durable, 25-millimeter, aluminum frame and 600-denier polyester fabric support up to 250 pounds of equipment.